Following concerns over the authenticity of an Egyptian Modernist sculpture bought at auction in October 2015, Bonhams has refunded £176,500 to the Lebanese collector Ramzi Dalloul. 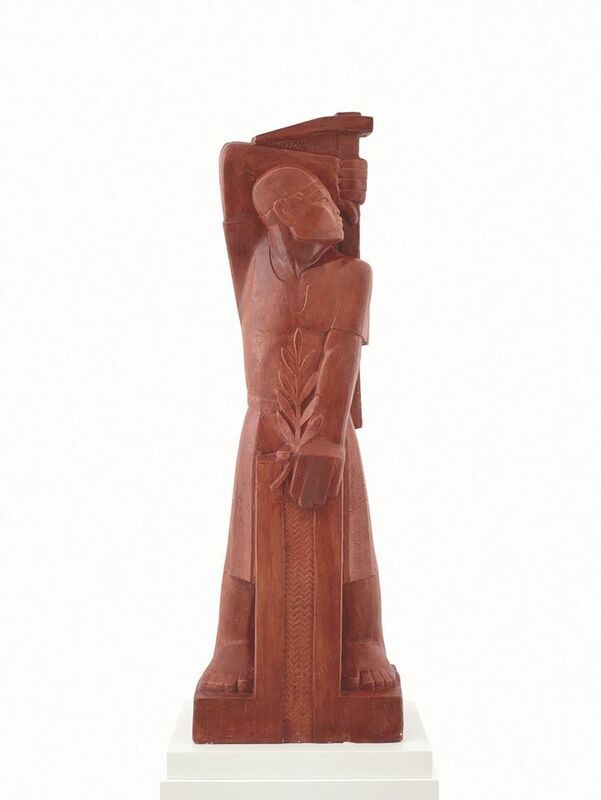 The Worker, a 1m-high terracotta attributed to Mahmoud Moussa (1913-2003), had an auction estimate of £18,000 to £25,000. It was billed by Bonhams as a “striking example” of the artist’s Pharaonic revival style, a tribute to the Egyptian labourers who died building the Suez Canal. The Dalloul family are on a drive to weed out suspect works in their large collection and have already returned several to the Beirut dealer Saleh Barakat. Ramzi Dalloul’s son Basel Dalloul, the director of the Dalloul Art Foundation, now plans to establish a joint authentication board for Middle Eastern Modern and contemporary artists, enlisting family foundations, dealers, experts and auctioneers, including Sotheby’s. He says that the process is ongoing and that “all the auction houses are tightening their procedures”. Dalloul and an expert consultant, who asked not to be named, say that recasts of Moussa’s sculptures have been widely sold through Egyptian galleries, where they are typically priced for only a few thousand dollars. Separately, Christie’s confirmed in November that it withdrew an untitled work by the Iraqi Modernist Shakir Hassan Al Said (1925-2004), estimated at £60,000 to £80,000, on the day of its 25 October sale in London after the artist’s family questioned its authenticity. Christie’s “likes to err on the side of caution”, says Michael Jeha, the auctioneer’s head of sales in the Middle East. Although Al Said understood the value of artistic archives, documentation on Iraqi modernism was lost in the ransacking of Baghdad’s Museum of Modern Art and its library after the invasion of Iraq in 2003. His family are now working with Bonhams to build an archive.